Finishing off a great Saturday of football is the Juventus – AC Milan clash. Both sides are further away from the top of the table than they’d like. 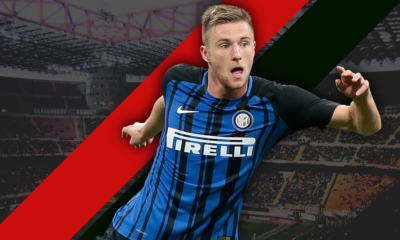 The home side are in unchartered territory in the Serie A which they have so convincingly dominated in the recent past. AC Milan will visit the Juventus Stadium on Saturday with the game kicking off right after El Clasico. Historically speaking, this fixture attracted thousands and thousands of viewers purely because it was and perhaps still is one of the most high profile Serie A fixtures in the calendar year. The past several years have involved a general acceptance of the regression that the Serie A has faced. The league, lagging behind the Premier League and other such top European leagues in terms of the monetary value involved and consequently big name players, has resulted in a series of below par years of club football in the country. Having said that, lacking money in modern football doesn’t equate to lacking a tactical pulse, especially not in Italy. For the ones out there who prefer to look past the media smoke and monetary components, this fixture will prove to be an exciting stage to admire two teams that actually have set plans and motions to beat the other team, rather than just hoofing the ball for 60 yards and praying it finds the right man. 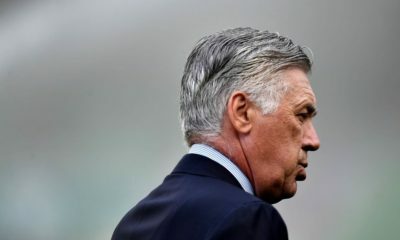 After winning the league last year, Juventus’ move to let go of multiple high profile players and bring in quality youth players in theory may have been the right move but in hindsight have left them nowhere close to where they would like to be in the standings. AC Milan on the other hand have had a broader slump lasting for several years now. Both clubs are looking to climb their way up into European spots more than anything else. While this game is of utmost importance in terms of points and bragging rights, there are several young players these two clubs have in their roster who may not necessarily feature in this Saturday’s game but are worth taking about. 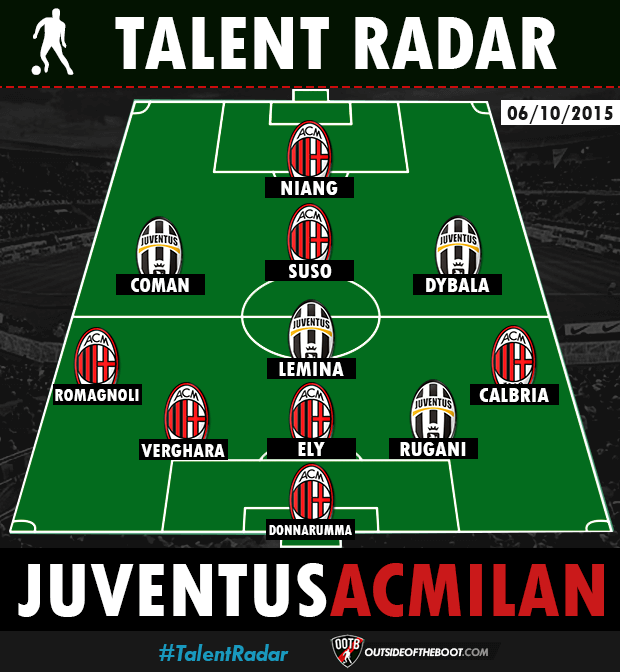 We’ve compiled a XI that comprises of both Juventus and AC Milan players who are exclusive to Talent Radar circles. The XI also includes players who are on loan. 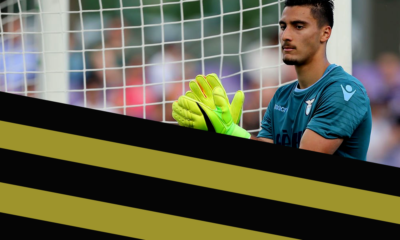 Defense: The last line of defense is in the form of 16 year old AC Milan keeper Gianluigi Donnarumma. 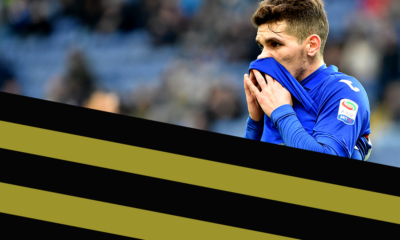 Joining him are two Talent Radar regulars Daniele Rugani and Alessio Romagnoli. The trio of Jherson Verghara, Rodrigo Ely, and Davide Calbria make up the 5 man defense. Midfield: An exciting midfield sees Gabonese central midfielder Mario Lemina occupy the role in the centre-of the park. Further ahead of him sees ex-Liverpool man Suso flanked two of the most exciting young players in Europe, Kingsley Coman and Paulo Dybala.